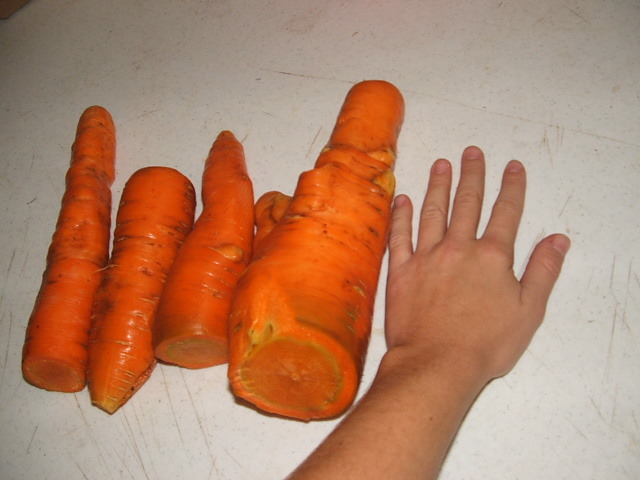 Big carrots grown on the farm. Clayton training pony Chief to drive on the ground. Clayton playing his accordion at one of our annual barn dances.